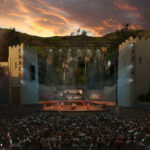 The John Anson Ford Amphitheatre, a nearly hundred-year-old institution nestled in the scrubby, sandy hills of the Cahuenga Pass north of Hollywood, has already lived a handful of lives over its relatively short existence. 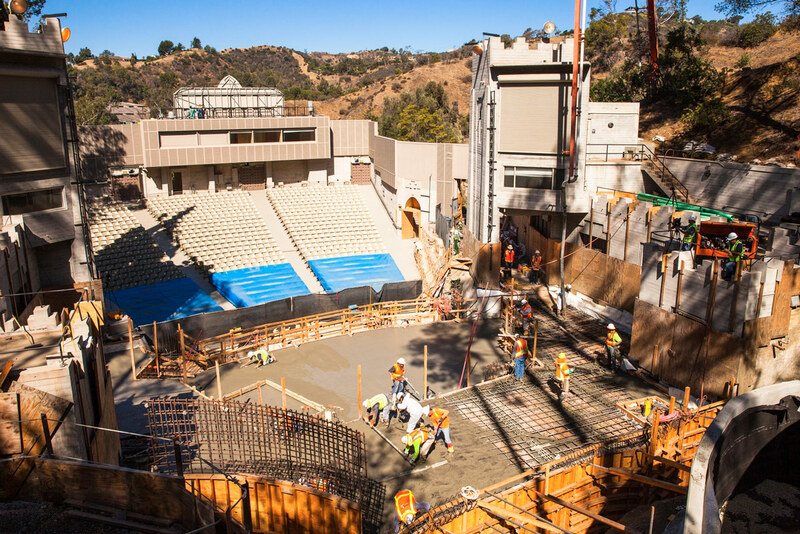 And as it approaches its centennial, the amphitheater is undergoing its latest upgrade: A $65.8 million makeover by Los Angeles–based Levin & Associates Architects and landscape architecture firm Mia Lehrer + Associates due to be completed this September. 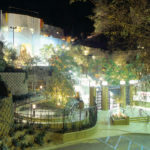 Originally designed in 1920 as a wooden amphitheater by arts and crafts architect Bernard Maybeck, the John Anson Ford Amphitheatre, then called the Pilgrimage Theatre, was the original home of author and Pittsburgh Paint heiress Christine Wetherill Stevenson’s religiously themed Pilgrimage Play. 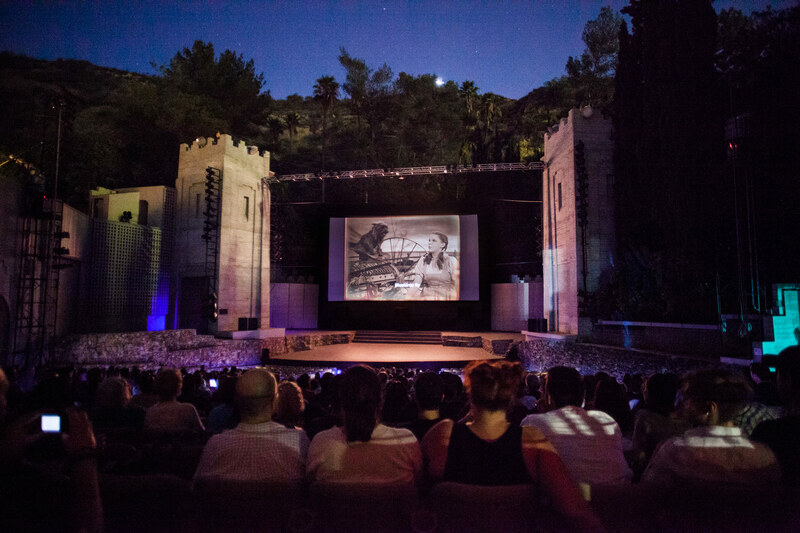 That structure burned down in a brush fire in 1929 and was replaced in 1931 by a board-formed, poured-in-place concrete hippodrome designed by architect William Lee Woollett, who also designed the Million Dollar Theatre and the Rialto Theatre in Downtown Los Angeles. 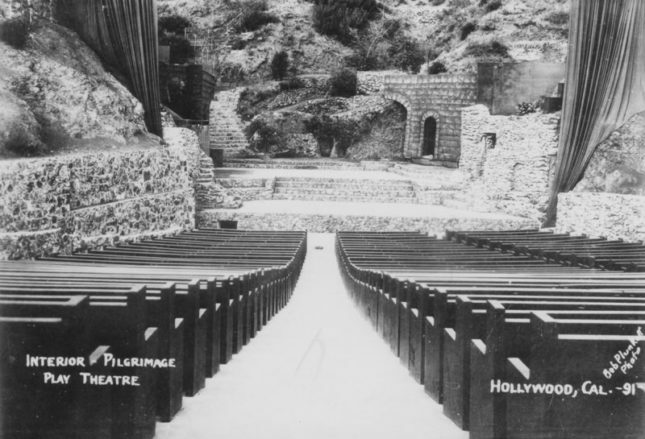 The 1,200-seat structure was built to resemble the gates of Jerusalem, with crenelated parapets and corbel arches crudely carved into the crotch of what was then a remote hillside. This configuration left the complex subject to the cascades of rocks and runoff that come down the surrounding slopes during the region’s characteristic downpours. 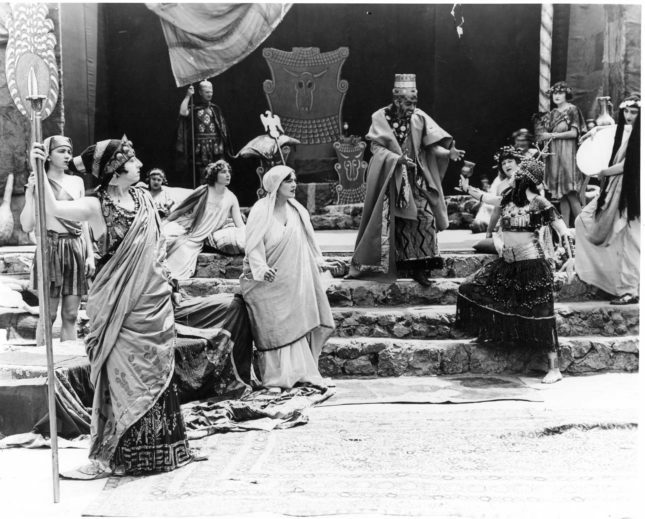 The theater, which continued holding performances of Stevenson’s play long after her death in 1922, came under the namesake of arts-supporting L.A. county supervisor John Anson Ford in 1976 and thereafter grew into a world-renowned community arts performance space. 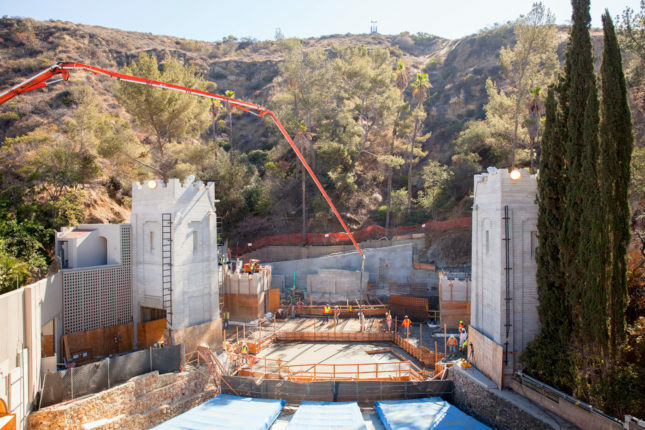 The structure has been under the stewardship of Levin & Associates since 2014, undergoing what principal Brenda Levin described as “a near total reconstruction, not really a renovation.” Levin & Associates, responsible for the 1991 rehabilitation of the iconic Bradbury Building as well as the 2015 renovation to Frank Lloyd Wright’s Hollyhock House, is tackling its latest legacy project with gusto. 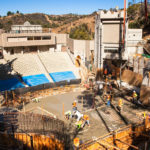 Here, the firm aims to divert flood waters from the theater’s underground artist support areas, expand the dressing room and staging areas, reconstruct the amphitheater stage, and construct a new sound-isolating wall designed to keep traffic noise out and music in. 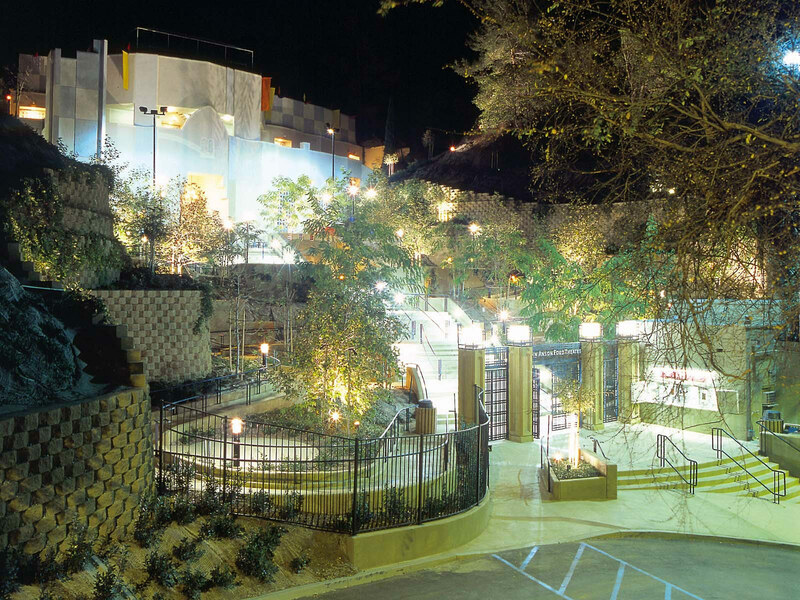 Mia Lehrer + Associates is responsible for stabilizing the lush, nearly postmodern backdrop of raw, palm-tree-lined scrub directly behind the stage through the addition of native and Mediterranean flora and a network of stone-clad retaining walls. 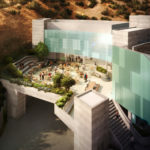 The project adds a two-story structure, also of board-formed concrete, but lacks the original structure’s neo-Judaic flourishes that will hold lower-level concessions, a kitchen, and an office space. 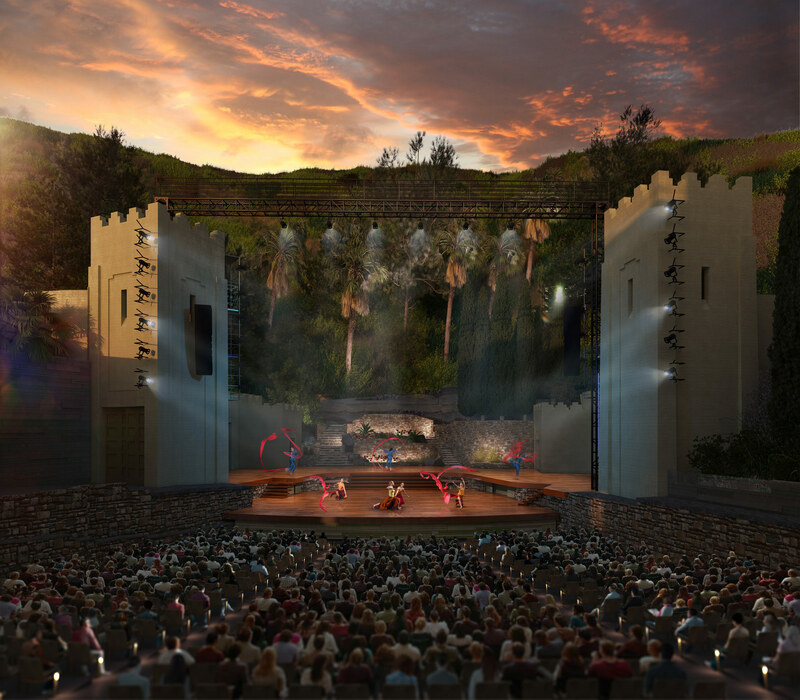 A state-of-the-art stage and lighting system is also being incorporated into the design. 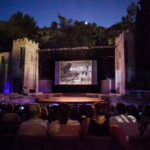 Phase one of the renovation is complete, the theater reopened to the public on July 8th with the new buildings coming fully online in October. 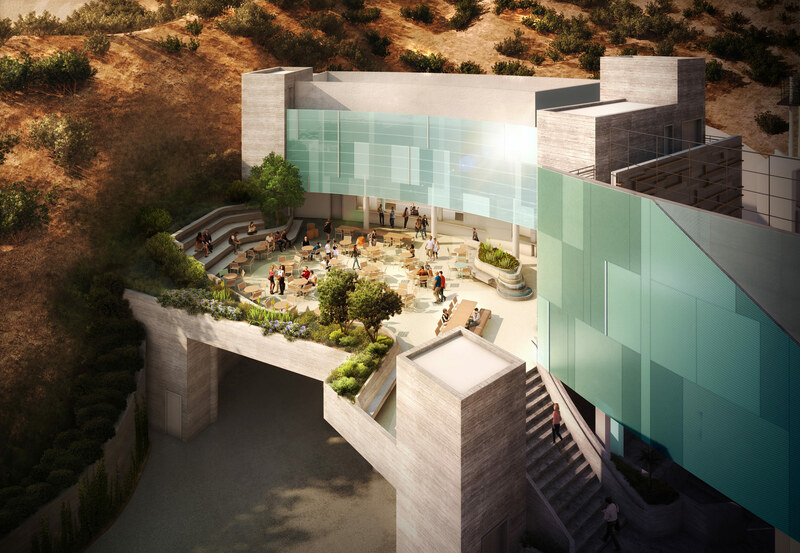 Plans for subsequent phases include a new three-level parking structure, 299-seat indoor theater, box office, museum-gallery, and hiking trail, which are due to be complete by 2020.